Do you know, your Facebook account has 3 Passwords? Its interesting and I found accidentally. Facebook allows us to log in to our account by using 3 passwords. and many users are not aware of this feature. Don’t get shocked. This is purposefully done by Facebook to simplify the login process. You may surprise but one is the main password that you created and other 2 passwords can be constructed by changing case of characters from your main password. Here is your second password, that is toggled letters of your original password. Upper case letter will be in lower case and lower case letter will be upper case letter. This feature is provided if mistakenly you kept your capslock on. so there is no need to re type the password again. ie PASSwORD. The third type of password is mainly useful for mobile users.as you know mobile phone automatically by default types first letter in CAPS. facebook takes care of this condition of also.so mobile phone users no need to worry! ie third password will be PassWord. These are the three different passwords that allows you to login to your facebook account. Do you want to try these variations with your own password on the Facebook? login screen available at facebook.com/login.php. Someone asked me is it allow to use multiple user names to login to facebook? and my answer is Yes! Facebook is crazy. you can login to your Facebook account by using three different usernames too. 2. Your Facebook user name in vanity url. such as https://www.facebook.com/Android. here Android is your user name. If you have registered your cell phone number with facebook then you can login by using that also. 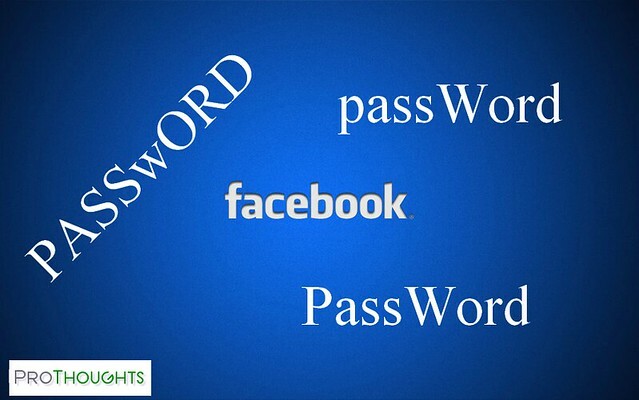 Which combination of user name and password do you use for login your facebook account?